As summer winds down, we’re reflecting on all the unforgettable memories we’ve made with friends. Beach days, BBQs and live music filled our warmer months. Luckily Seattle has one last hurrah this Labor Day weekend. 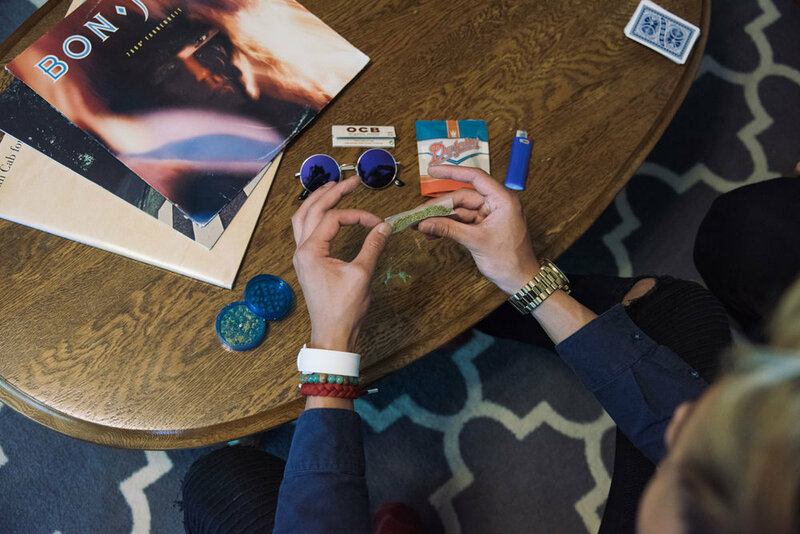 Get ready to pass it to the left with Dutchy’s best buds for Bumbershoot. Looking for a strain as classic as Weezer’s “Say It Ain’t So”? You’ll be stuck on Gorilla Glue. This heavy-hitting hybrid has earthy, piney notes and relaxing effects. Dutchy’s Gorilla Glue has a 25% THC content, so while Seattle is no “Island in the Sun,” you’ll certainly feel like it is while soaking up the sounds with friends. For flower that gets you going faster than a Dillon Francis song, we recommend Super Lemon Haze. These buds are covered in trichomes and have a zesty lemon smell with energizing effects. This award-winning sativa-dominant hybrid comes from parents Lemon Skunk and Super Silver Haze, so you’ll be moving 130 BPM. When The Roots wrote “The Seed,” we don’t think they had Mary Jane in mind, but we still think Pink Panther would pair perfectly with their set. This indica-dominant hybrid has dense buds with sweet floral notes. Pink Panther is mentally uplifting yet physically relaxing, which makes it ideal for The Roots’ groovy, mellow beats. Whether you’re reliving high school with Weezer or dropping beats with Dillon Francis, we’re certain you’ll love our buds for Bumbershoot. Find all four of these strains and more at Have a Heart Belltown and other retail locations near you. Running late to the show? Order online to save time, then pick up in-store!